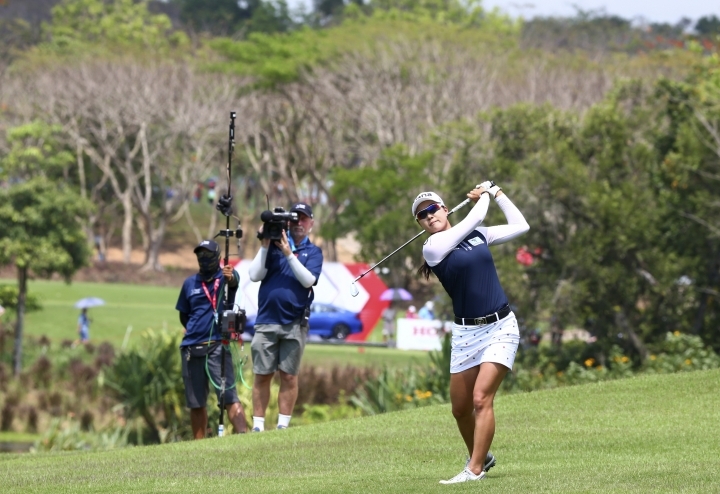 CHONBURI, Thailand — Two-time champion Amy Yang of South Korea and Australian Minjee Lee shared the lead on 15-under 201 after the third round of the LPGA Thailand on Saturday. Yang, who won twice on this course in 2015 and 2017, had six birdies for a 6-under 66, and Lee also had six birdies — and one bogey — for 67, which included a stunning 30-foot downhill putt on the final hole at Siam Country Club Pattaya. They have a two-stroke lead. "It was really hot out there, probably a little more than yesterday, but the play was moving along so it was okay," Lee said. "I feel I played really solid. In the seven-week break, we worked on my technique and trying to get my swing a little faster. I'm not sure if that really worked — when I got out there today I just found a place I was comfortable and went with that." The 29-year-old Yang, who has three LPGA titles said: "I'm a little nervous to be in the lead and I might get nervous out there tomorrow, but I'm just going to be patient and do my best." 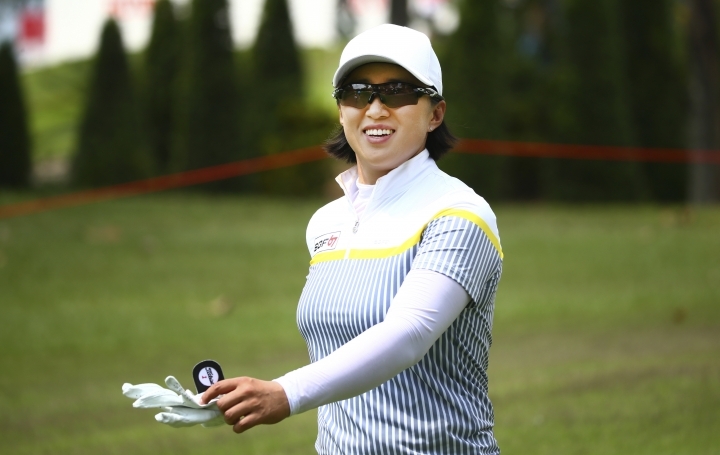 Two shots behind was second-round leader Jenny Shin (70). The South Korean finished strongly with a birdie immediately followed by an eagle on the par-5 18th. Nelly Korda shot 66 to sit three shots behind the lead at 12 under. 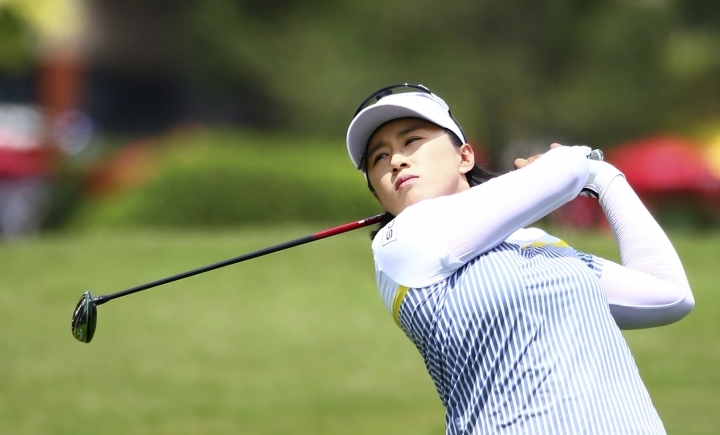 She is tied for fourth with fellow American Austin Ernst (69) and first-round leader Ji Eun-Hee (70). "I was hitting it really well," Korda said. "Made some solid putts. Made a long putt on 9 and then made a good up and down on 10. Kind of got the ball rolling on the back nine as well."